For local events such as festivals, conferences, and family reunions, the 18-passenger minibus is the perfect size vehicle to transport your group. Since this vehicle is on the small end of minibus sizes, it makes traveling through crowded areas like downtown San Francisco a smoother experience. 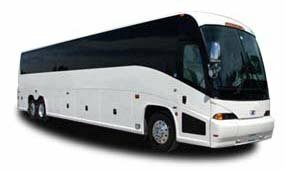 Let San Francisco Charter Bus Company help you book hassle-free transportation today. We’ve worked with hundreds of clients for business trips, sporting events, wedding receptions, field trips, and more. Our reservation specialists are available any time, any day at 415-404-6456​ to provide you with a free, personalized quote!